In case you are considering to start an Amazon website, you need to know that you have a long way ahead of you. The truth is that there are many decisions that you need to make before you even start creating your new website. One of the things that many people tend to forget is that they need to make sure that they use the best WordPress theme for Amazon affiliate marketing. While you may think that a theme is just a theme, the truth is that you need to have the right tool. After all, this will help you start having an income earlier and easier. If there is something that you want to make sure that you have when you want to have your own Amazon affiliate marketing website is that it is able to convert well. However, when you are not careful when you choose the theme that you use, you may end up with a beautiful theme, a great design, but no sales. And this is something that you want to avoid at all costs. When you are serious about making money online, one of the best shots that you have is affiliate marketing. And if you look around, one of the best things that you can do is to build your website around Amazon products. The truth is that everyone trusts Amazon and all transactions are made by them. So, you won’t even need to set any kind of payment gateways. In addition, Amazon has a wide range of products for so many different categories that you won’t have any problems in choosing your own niche or industry. When you are looking for the best WordPress theme for Amazon affiliate marketing, one of the best free options that you have is the Rethink theme. 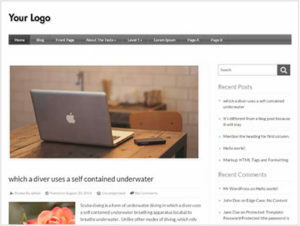 One of the best things about the Rethink WordPress theme is that you can use it to create your own review website. You can simply use the Custom Fields and setup Rating for the different products that you want to promote. In addition, you can also use any affiliate links that you want. While you may not be considering writing a lot of posts promoting products, the truth is that it is one of the best ways to do it. After all, you’ll be explaining your visitors all the advantages they get in case they buy them. However, the rating that you can have will make sure that your website stands out from the crowd. We know that many entrepreneurs have a limited budget and they need to save as much as they can. So, there’s nothing like opting for a free WordPress theme. However, one of the things that many people tend to think is that just because a theme is free, it won’t allow you to make as many changes as you may want to do, or that it may be somewhat limited. While this could be true a few years back, this is no longer the case. With a simple search on the Internet, you’ll see that there are many different free WordPress themes that are well ranked. Their users are genuinely happy with them and with their features. 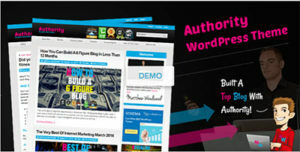 Besides, you need to know that you always have the plugins to help you customize a particular aspect of your website. 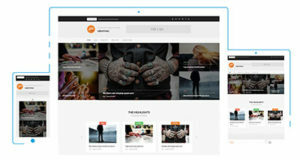 The GreatMag is one of those free WordPress themes that is worth to be tried out. This is one of those themes that appeal to visual visitors, which is the grand majority of people. In addition, you can count on social media buttons as well as on advertisement space in case you want to take an extra step to monetize your website. When you are looking for the best WordPress theme for Amazon affiliate marketing and you have some money to spend, one of the best options that you have is the Price Comparison Theme for WordPress. 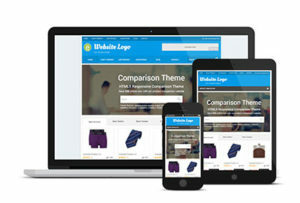 One of the things that we like about the Price Comparison Theme for WordPress is its design. It’s simple, clean, and effective since it allows you to show the product specs without any difficulty. In addition, you can also easily build tables and sliders that can be extremely useful in this kind of website. Priced at $79, the Price Comparison Theme for WordPress also includes a drag and drop comparison tool that makes it stand out on this list. Featuring a completely responsive design, your visitors will be able to reach your website using their desktop and any mobile device. Another free option when you are searching for the best WordPress theme for Amazon affiliate marketing is the Hueman theme. 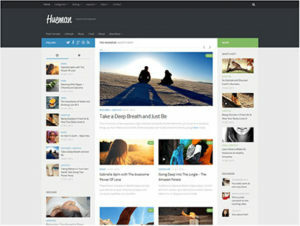 The Hueman theme is fully responsive and it features a clean design. One of the things that we like about the Hueman is the ability that you have of using widgets in both the header and the footer. While this may not be a great use for some, it can be a great option to increase conversion rates. In case you are considering to include different kinds of content on your new website, the Hueman theme may be the perfect website for you. After all, this theme features ten different post formats. You can also take advantage of the social links and improve your social media accounts at the same time your website grows. The previous Rethink theme was already a great option for an Amazon affiliate marketing website. 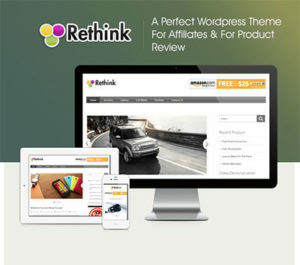 However, the Rethink V2 – Responsive WordPress Review Theme is even better and this is why we consider it as one of the best WordPress themes for Amazon affiliate marketing in 2018. The Rethink V2 – Responsive WordPress Review Theme price is $59 and it’s fully responsive. One of the best features of this theme is the review system. As you know, reviews are extremely important for buyers. And this is exactly what you’ll be providing to your visitors. In addition, you can count on having a fast-loading website which will help you rank higher in Google and other search engines as well. In case you opt for the Rethink V2 – Responsive WordPress Review Theme, you will also get an info bar plugin that is included with the theme as well as 16 predefined banners that you can easily customize and use as pop-up messages. When you are searching for the best WordPress theme for Amazon affiliate marketing but you want to make sure that you get a flexible and free theme, one of the best options that you have is the Vantage theme. 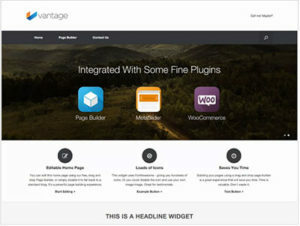 The Vantage is fully responsive and it can be used in conjunction with some popular plugins such as WooCommerce and PageBuilder without any conflicts. One of the things that we really like about the Vantage theme is the fact it supports high-resolution images which allow you to display the products the best way possible. And you know how great images and a great step towards making a sale. Even though the Vantage theme is free, you can still customize the custom menu as well as the background. When you want to make sure that you get the best WordPress theme for Amazon affiliate marketing, you need to consider checking out the Amazon Affiliate WordPress Theme in more detail. The truth is that this is one of the best WordPress themes available that help you create an Amazon partner store without the need to worry about the Amazon APIs. One of the best things about the Amazon Affiliate WordPress Theme is the fact that it fully integrates with WooZones and WooCommerce. In addition, you can count with a lot of flexibility to leave your website just like what you want. So, if you are looking for a WordPress theme that allows you to sell products from more than 200 subcategories including photos, music, software, apps, books, among others, you should definitely consider the Amazon Affiliate WordPress Theme. Please note that the Amazon Affiliate WordPress Theme comes with multiple step-by.step tutorials to help you set your own Amazon API keys and links. When you want to create a professional-looking website that provides you the ability to customize every single detail, you should consider the Kingdom – WooCommerce Amazon Affiliates Theme. One of the things that we like about the Kingdom – WooCommerce Amazon Affiliates Theme is that you can take advantage of the full-width slider to promote the best Amazon products. 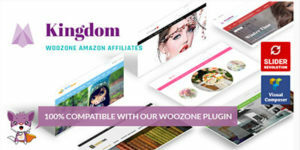 For only $39, you can be sure that the Kingdom – WooCommerce Amazon Affiliates Theme will allow you to customize your website as you have imagined. In addition, you won’t have any problems with its responsiveness. After all, the Kingdom – WooCommerce Amazon Affiliates Theme is fully responsive and your visitors can see it exactly the same way no matter if they’re on their desktops or using any mobile device. If you have a small budget and you’re looking for the best WordPress theme for Amazon affiliate marketing, one of the options that you have is the TopClass – Multipurpose Business & Corporate Theme. For $49 only, the TopClass – Multipurpose Business & Corporate Theme is one of the most flexible WordPress themes on this list. One of the best things about the TopClass – Multipurpose Business & Corporate Theme is the number of features that it includes. Including multiple transitions, animations, and visual effects, sidebars, customizable menus, dynamic content layout and scrolling, social media and multimedia integration, and even a WooCommerce integrated eCommerce plugin-enabled, there is a lot that you can do. With 5 color variations and many shortcodes, you will be able to setup your new website fairly quickly. When you like the minimalist design but you also want to make sure that you get the best WordPress theme for Amazon affiliate marketing, one of the best options that you have is the Chosen theme. 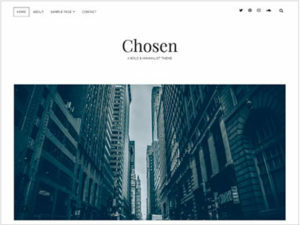 The Chosen theme is a free WordPress theme that gives you the ability to catch your visitor’s attention and make them return for more. One of the things that we really like about the Chosen theme is the fact that the design is absolutely clean and uncluttered that can be seen on both desktops and mobile devices the same way since it is fully responsive. You will also be glad to know that the Chosen now includes WooCommerce support in case you want to start your own line of products. One of the best things that you can do when you are looking to promote products from Amazon is to create a blog and mention different products. And one of the best ways to achieve good results, meaning more sales, is by using one of the best WordPress themes for Amazon affiliate marketing – the Authority theme. Available for $59, the Authority theme allows full customization. So, you’ll be able to create your new website exactly as you imagined it. With a fully responsive design, the Authority theme provides you with 4 different home page layouts, social media integration, Schema Integration, parallax scrolling, Adsense ready, and a lot more features. If you have been around the Internet and Internet marketing for a while, you may notice that this theme may seem familiar to you. The truth is that the Authority theme is based on the Matthew Woodward’s famous blog and has his full endorsement. So, you can be sure that it is made to convert. The Make theme os another great choice that you have in case you don’t want to spend a dime. However, you can be sure that you will be well-served with one of the best WordPress themes for Amazon affiliate marketing. 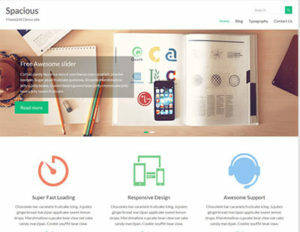 Featuring a modern look with a huge header area that you can use for the best products that you are selling, the Make theme is also fully responsive. One of the things that we really like about the Make is the drag and drop page builder that will save you a lot of time. So, even though this may be your first website and although WordPress is very intuitive, you can be sure that with the Make theme you will save a lot of time. 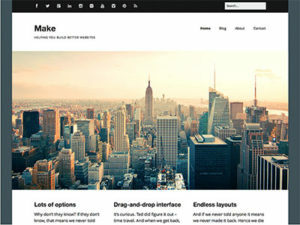 Even though the Make WordPress theme is free, it is still fully customizable. You can easily change the layouts of the different pages, the colors, the fonts, among others. And in terms of compatibility, you won’t have any problems if you want to use plugins such as Contact Form 7, Gravity Forms, WP PageNavi or Jetpack. Available for $59, the WordPress Coupon Theme, Daily Deals, Group Buying Marketplace – KUPON is another option that you have when you are looking for the best WordPress theme for Amazon affiliate marketing. One of the things that we really like about the WordPress Coupon Theme, Daily Deals, Group Buying Marketplace – KUPON is the fact that it comes with many different features that will help you increase your conversion rate. As you know, discounts and coupons tend to attract a lot of people. And this is how you can take better advantage of this theme. You can use this theme to easily show off the best Amazon products that are currently with a discount. Another free option that you have when looking for the best WordPress theme for Amazon affiliate marketing is the Spacious theme. Featuring a beautiful and clean design, the Spacious theme is fully responsive allowing you to take advantage of both desktop visitors as well as of mobile device visitors. The Spacious comes with 4 different page layouts as well as two pages templates. This ensures that you save a lot of time with the designing part. In terms of the blog, you can count on 4 different blog displays as well as you’ll have the ability to take advantage of the 13 widget areas available. With so many different options for customization, the Spacious theme is one of the best WordPress themes for Amazon affiliate marketing that you can get for free. Last but not least, the REHub – Price Comparison, Affiliate Marketing, Multi Vendor Store, Community Theme is another great option for your new Amazon affiliate marketing website. One of the best things about the REHub – Price Comparison, Affiliate Marketing, Multi Vendor Store, Community Theme is the fact that it is a hybrid theme that allows you to create many different kinds of websites including affiliate stores, coupon stores, shop stores, and even directories. Able to support WooCommerce, Ecwid, and EDD, the REHub – Price Comparison, Affiliate Marketing, Multi Vendor Store, Community Theme costs $59. In case you opt for this WordPress theme, you can count on 5 different design layouts for WooCommerce as well as you won’t have any problems in using Amazon affiliate program. The REHub – Price Comparison, Affiliate Marketing, Multi Vendor Store, Community Theme also comes with Visual Composer.